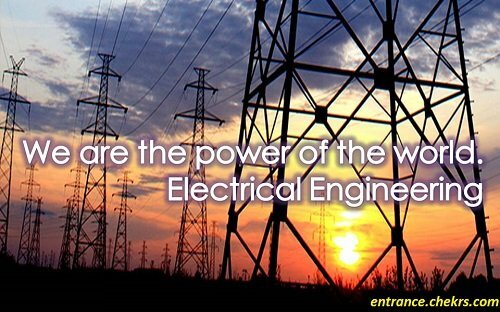 Electrical Engineering: Electrical engineering is a core field of engineering that is carried out from years and it generally deals with the application and study electricity, electromagnetism, and electronics. 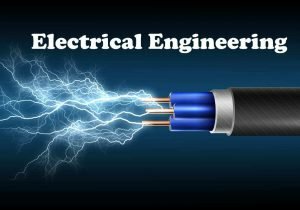 Electrical engineering is considered as one of the toughest engineering streams but instead of this, the candidates are used to take the admission in electrical as because of the unbeatable future scope in Electrical Engineering. Electrical engineering is subdivided into a wide range of sub-branches including digital computers, electronics, power engineering, control systems, telecommunications, radio-frequency engineering, instrumentation, signal processing, and microelectronics. There are a huge number of scopes and opportunities after Electrical engineering for those who really owns the talent and extraordinary Many of these subdivisions overlap with each other and cause in the origination of various other engineering fields such as power electronics, hardware engineering, electromagnetics & waves, nanotechnology, microwave engineering, electrochemistry, mechatronics, renewable energies, electrical materials science, etc. Easy to Get the First Job: Electrical engineering students rarely face any troubles while finding their first job after completing the B. Tech Degree, as most of the famous and brands in the electrical field look for the talented and fresh mind, with something extraordinary, fresh knowledge. These companies believe in hiring the fresh and raw skills in Electrical Engineering so that they can mould their skills and talent as per the specific needs and to filter the experts out of them. The starting package that is offered to an electrical engineer just after the completion of their bachelor degree is too attractive and satisfactory. There are a huge number of employers who keep on looking for the fresh and raw extraordinary talent to make their mind modified as per their needs. As every employer wants something different and extraordinary electrical skills so that they will be able to develop an invention that will never have been discovered by any of the other organization in a practice to redirect the human efforts towards an ease to proceed their lives. Electronic and Electrical components are invented, modified, and reinvented with the each passing minute, hour, day. So, the electrical engineers never feel bored of their work as there will be something interesting every moment. It’s not like computer engineer to keep on rotating on the same concept and dam coding for performing some set of task or instructions. New and exciting stuff is available all the time and you will have lots of fun and excitement while testing and assembling it from a different end each time. As per the increase in the technical standards, the percentage of accuracy and high skills has been raised in a practice to develop more accurate and highly précised machines to make the human efforts to be executed with an ease. There are a number of opportunities to make the Careers for Electrical Engineer in the private MNC’s as well as in the government field, as the state government and central government releases the vacancies for the post of AEN, JEN, Supervisor, etc. For any type of assistance, you are invited to contact us by leaving your views in the feedback section, we will try our best to make you available with the most the most optimal solutions as soon as possible.